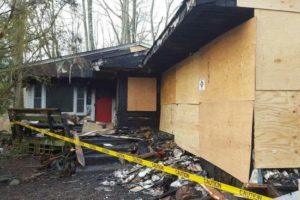 Ready Restoration knows just how devastating a fire can be. 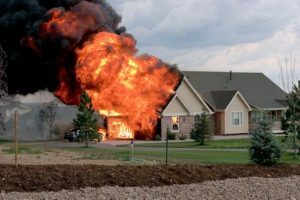 Fire and water damage can leave your house unsafe and unlivable. We are trained to clean and restore your home with as little disruption as possible. Fires can be especially devastating to your home or business. 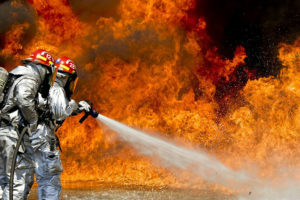 After the fire trucks leave, your property will likely suffer from not only fire and smoke damage, but also widespread water damage and flooding from firefighting efforts. SERVPRO Franchise Professionals have specialized fire and water damage restoration training and experience to quickly clean up and restore your home to pre-fire condition. They also can remove the pervasive smoke odor and deep-clean soot from upholstery and carpet. Don’t attempt to wash any walls or painted surfaces or shampoo carpet or upholstery without contacting your SERVPRO Franchise Professional. Don’t attempt to clean any electrical appliances that may have been close to fire, heat or water without consulting an authorized repair service. Don’t use any canned or packaged food or beverages that may have been stored near the fire, heat or water. Don’t turn on ceiling fixtures if ceiling is wet. The wiring may be damaged. Don’t send garments to an ordinary dry cleaner. Improper cleaning may set smoke odor. Is Mold Illness Affecting You?